Find the answers to some commonly asked questions below, or read through our terms and conditions. Illustrators over the age of 18 may enter. Entrants can be based anywhere in the world. You can’t enter if you are a current AOI Patron, member of the AOI Board, or AOI or Directory of Illustration Staff Member. Judges cannot directly enter work, but artists may enter work that was commissioned by one of the judges. The work you enter can be in any medium, and realised or published in any format. The work doesn’t have to be commissioned but has to have been created or published after 1 January 2018 up until the deadline. Have a look at last year’s shortlist to see the breadth and diversity of work that has been shortlisted in the past – we’ve seen everything from Gifs, Ceramics, Virtual Reality Environments, Murals, Textiles alongside more traditional books and editorial pieces. Work commissioned by the AOI cannot be entered into the Awards. To enter, you need to have an AOI account. To set one up is really simple, just enter your name and email into the form, and you will receive a confirmation email. Once you’ve followed the simple steps to register on our website you will be able to access the entry form while the Call for Entries is open. If you’re an existing member, or you entered the competition last year, you can use your usual login details. To enter, go to theaoi.com/wia2019 and you will see the online form where you can enter your details and upload your image/s. The work is reviewed online only, so ensure that your images are good quality. Some of the information you enter (such as brief and title) are seen by the judges, so make sure you complete these fields fully – a great description can make all the difference to your entry! How should I format my images? Up to 4MB and 3000px wide. Entries are accepted from November until 17 February 2019 (until the end of the day in your local time zone). I'm having trouble with the entry form, what do I do? Please ensure you are viewing the form as a full page on your web browser at 100%. If the ‘submit’ button is not showing, please go back and double check all the required fields have been completed. The form is best used with an up-to-date browser. Some users have been reporting difficulties with Firefox. If you are using Firefox and the form doesn’t work, please change to an alternative browser. If the advice above doesn’t resolve your problem with the entry form, please email [email protected] so we can help you to submit your entry. There are eight categories that reflect the broad sectors of illustration being commissioned today. You can enter any category, and you can enter different projects into different categories, or enter the same project into different categories. You can only choose one category per entry. How do I know if I can enter as New Talent? An illustrator who took a break of several years from the profession, and has returned since January 2017. Any other illustrators should enter as professional. New Talent entrants can be represented by an agent but will not be eligible for the SAA New Talent Award. Does my work have to be commissioned to enter? You can enter any category as either commissioned or uncommissioned. You can enter work as ‘commissioned’ if someone asked you to make the work to a brief and paid you for the work. Similarly, you can enter the work as commissioned if you priced the work but then did it for a reduced or waived fee (see the AOI’s Price It Right campaign for more info). You cannot enter yourself as the commissioner, and if you do enter this information into the form, it will be deleted prior to the first round of judging. What’s the difference between a single and multiple entry? We offer single and multiple entry options so you can decide how many images you want to submit. Single entries are useful for things like book covers, single editorial illustrations, logos, packaging labels, or anything that is a standalone, single piece of work. Multiple entries are useful for showing different aspects of a project, for example a series of inside spreads from a book, a series of spot illustrations for a website, a series of animations, different angles of a three dimensional or site-specific work, or any project that has more than one illustration as part of it that you would like to showcase. Because of the way our entry form is set up, every entry has a ‘lead’ image – if shortlisted, this will act as the main image used on our website. If you are entering a single entry, the lead image is the only image you need to upload. You also have the option to enter animations or gifs via a direct URL link. If you choose this option, you will also need to upload a still as the lead image. If you are entering a multiple entry, you enter the lead image, and up to another four images – you only need to upload the lead image once, for a total of 5 images. You can also enter a combination of URLs and still images, e.g. 1 lead image, 2 images and 2 URLs = total of 5. How much does it cost to enter and how do I pay? We prefer if you can make your entry payment online via the AOI website, but if this is not possible, we can issue an invoice and accept payment via BACS. Current individual AOI Members (at time of payment) automatically receive an exclusive discount on their entries as long as they enter the awards on their member login. This will be automatically calculated in the shopping cart. Find out more about how to become an AOI member here. Once you have filled in your form and clicked the ‘SUBMIT’ button, your work is saved in your account on the AOI website. You can then go back and edit it as much as you wish until you pay for it. Once you are happy with the entry, you need to make your payment for it to be entered into the competition. You will receive an email confirming your entry, and some information about how to share your entry with the AOI via social media – we will repost entries throughout the call for entries! Don’t forget that the judges will only see entries that have been paid for. The AOI team will check all entries as they are submitted, and will notify you of any issues, e.g. if your image is corrupted. The AOI reserves the right to remove entries that are offensive, incite hatred or break the rules. The judges will then log in to the site to view all entries and will choose their shortlist. Once the shortlist has been finalised, all entrants will be notified by email of the outcome of their entries. WIA Judges are experts in their sectors, and are chosen to represent a global view of illustration. Our judges in the past have included editors, art directors and publishers from organisations including Penguin, WeTransfer, Twitter, Laurence King and many more! We will announce the WIA2019 as they are confirmed. Check here for further details. Feature on the AOI website on a dedicated page, with selected projects promoted across the AOI’s social media. Be presented in a printed full colour catalogue, which is distributed to over 1,300 commissioners worldwide. Feature in a major survey Exhibition in central London. Receive incredible exposure across our digital and real-world networks: the WIA is a proven platform for illustrators to consolidate and expand networks, be seen by commissioners and gain industry recognition and new clients. An invitation to attend the Awards Evening, a highlight of the illustration industry event calendar. a complimentary copy of the WIA2019 catalogue. 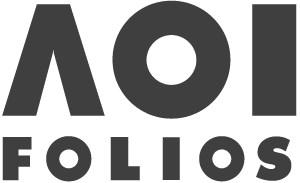 an exclusive discount on AOI membership with Folio for one year. The Judges’ favourite entries from round one will be put forward to the second round of judging to decide on the Professional and New Talent Category Winners. Overall Professional Winner: One of the eight Professional Category Winners is named as the WIA2019 Overall Professional Winner at a prestigious ceremony in central London and will receive a generous cash prize of £2,000, a WIA Trophy, and a two-page marketing package in the Directory of Illustration No. 36, valued at $4,330 US Dollars, including a 200-image professional portfolio on directoryofillustration.com plus a one-on-one consultation with a professional Directory of Illustration marketing consultant on how to best present your work to the American market. Overall New Talent Winner: One of the eight New Talent Category Winners is named as the WIA2019 Overall New Talent Winner at a prestigious ceremony in central London. They will win a generous cash prize of £1,000, a WIA Trophy, and a copy of the Directory of Illustration No. 36. Professional and New Talent Category Winners: All 16 Category Winners (one New Talent and one Professional per category) receive a WIA Trophy, an enhanced entry in the catalogue, a profile feature on the AOI website, and a complimentary AOI membership for one year with all the benefits this brings including pricing advice, online folio and Varoom subscription. *NEW FOR 2019* Professional and New Talent Highly Commended in each category: 16 Highly Commended Projects (one New Talent and one Professional per category) will receive a WIA Certificate and a profile feature on the AOI website. *NEW FOR 2019* The SAA Agents Award for New Talent: All unrepresented shortlisted New Talent entries will be eligible for The SAA Agents Award for New Talent, offering the winner a six-month trial representation with one of the leading Society of Artists Agents Illustration agents, which will include mentoring and career development. During that time, the winner will, in addition to the agent’s own marketing program, benefit from having their work showcased on the SAA’s News Blog as a featured article and across their social media platforms. Please note, the terms and conditions are correct at the time of publishing, but may be updated during the course of the competition. You can contact the AOI Awards team via [email protected] – we usually reply back within 1 or 2 working days.